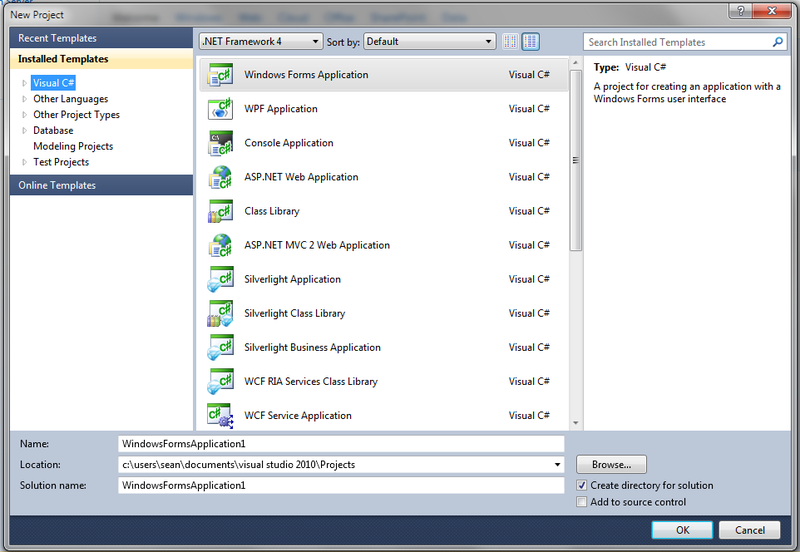 You can create a new WPF project from either Visual Studio 2010 or Expression Blend 4. This opens the New Project dialog. 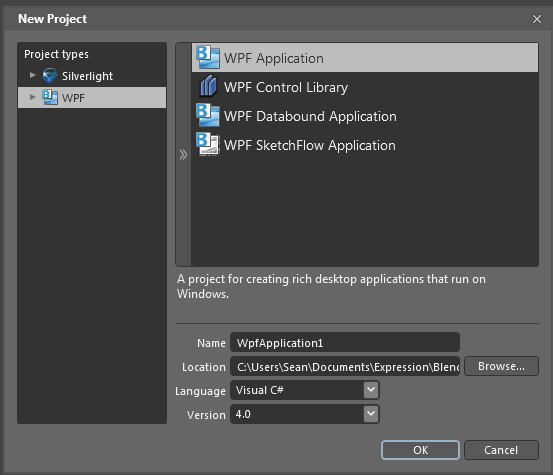 This opens Blend 4’s New Project dialog.